We pride ourselves on delivering the highest standard of treatment to every client. This is made possible by using the excellent quality products and the latest technology performed by our highly skilled treatment professionals. We use brands such as CACI non-surgical facelift known to be an industry leader in non-surgical treatments delivering fantastic results. Phytomer facial and body procedures who encapsulate natural ingredients with scientific research and development to ensure amazing treatment experience. We provide an extensive range of core beauty treatments including nail extensions, gel manicure and pedicure, st.tropez, waxing and aromatherapy massage. All of our salon treatment are available during our opening times (tues-fri 9am-6pm &sat 9am-3pm). We also work alongside our specialist treatment professionals offering treatments including foot health care, wrinkle fillers, acid face peels and wrinkle relaxants. Our specialist treatments are offered in scheduled clinics-please telephone for availability. 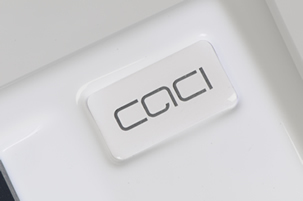 The CACI Ultimate Skin Boost Facial is perfect for occasional use or as a course of treatment. Crystal free microdermabrasion exfoliates the superficial layers of the skin. Wrinkle comb helps to reduce scarring. Hydratone mask is applied to leave the skin looking flawless. Available for a 45 minute session (£35.00) or 6 sessions for £175. Our main beauty treatments provide the perfect pampering experience. Whether you’ve got aches and pains or just fancy a facial, our treatments will leave you feeling rejuvenated. Click the link below to learn more about our core beauty services, or call 01263 710 071 to make an appointment. In addition to our main beauty services, we provide a number of specialist treatments from our dedicated experts. Our specialist practitioners work in areas such Botox, cosmetic treatments, collagen fillers, skin peels, chiropody and foot healthcare. Learn more about our specialist beauty services and book an appointment today.